This little piggy went on a scooter ride. 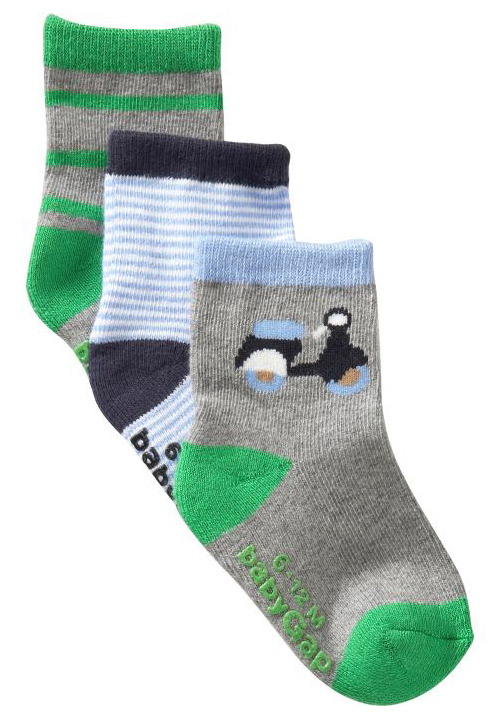 This 3-pack of socks is $7.99 and is available for sale online at the Gap. This entry was posted in Clothing and tagged Gap, kids, scooter, socks, vespa by Tracy. Bookmark the permalink.